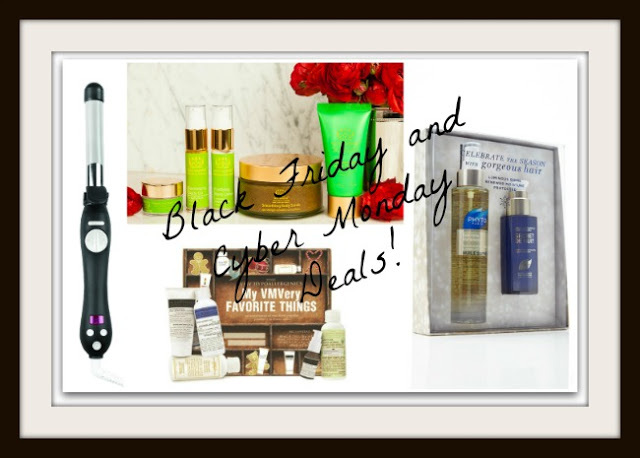 The holiday shopping season officially begins with Black Friday, which happens to be this Friday, Nov. 23 ( some of these deals begin Nov. 22) and for many beautynistas and suavies alike, so too will the hunt begin for the perfect gifts -- as well as -- great deals on those gifts. The team at The Makeup Examiner searched far and wide, high and low for amazing gifts and those coveted discounts. Check back often or on Insta, 'cause we'll keep posting them as we find them! Nanacoco: The Black Friday promotion will start on Thanksgiving morning 8AM EST (November 22nd to 26th). The promotion will be as follows: Nanacoco's Annual Friendsgiving Sale. Spend $50 and get free shipping (along with a surprise Nanacoco Pro. free gift with purchase if the customer spends $50 and over). Use code FRIENDSGIVING on BBfull.com. The Cyber Monday promotion will start on start 11/26/2018 - 12AM EST to 11/26/2018 11:59PM EST and will be as follows: Get 25% off of your entire order if you spend $50 (including free shipping). Use code Cyber25 on BBfull.com.